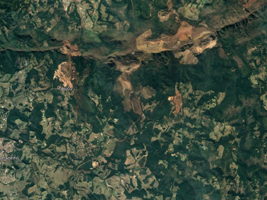 On January 25, 2019, a dam burst at a Brazilian iron ore mine. 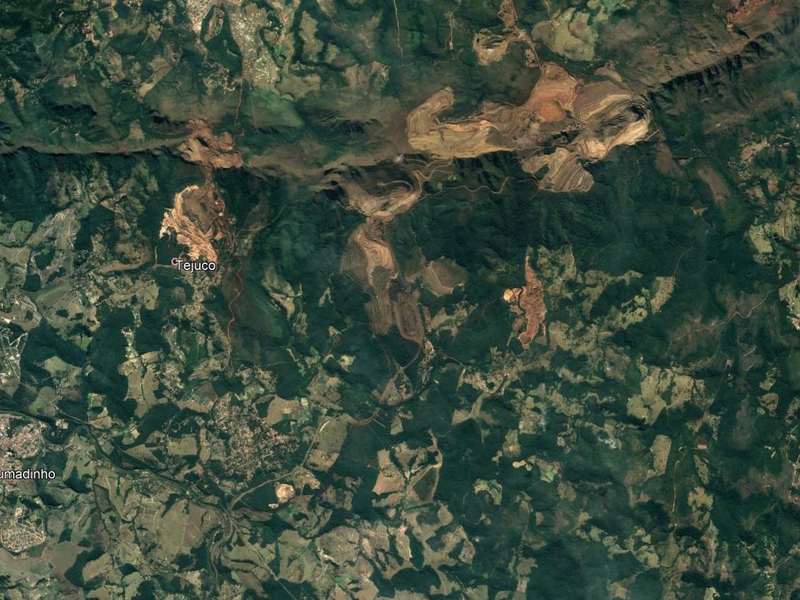 The dam's breach unleashed a torrent of mud and mine debris, covering the city of Brumadinho. The before image is from Google earth, and was acquired September 9, 2018. The after image was acquired by ASTER on February 1, 2019. The images cover an area of 10.8 by 14.8 kilometers, and are located at 20.1 degrees south, 44.1 degrees west. With its 14 spectral bands from the visible to the thermal infrared wavelength region and its high spatial resolution of about 50 to 300 feet (15 to 90 meters), ASTER images Earth to map and monitor the changing surface of our planet. ASTER is one of five Earth-observing instruments launched Dec. 18, 1999, on Terra. The instrument was built by Japan's Ministry of Economy, Trade and Industry. A joint U.S./Japan science team is responsible for validation and calibration of the instrument and data products. The U.S. science team is located at NASA's Jet Propulsion Laboratory in Pasadena, Calif. The Terra mission is part of NASA's Science Mission Directorate, Washington.